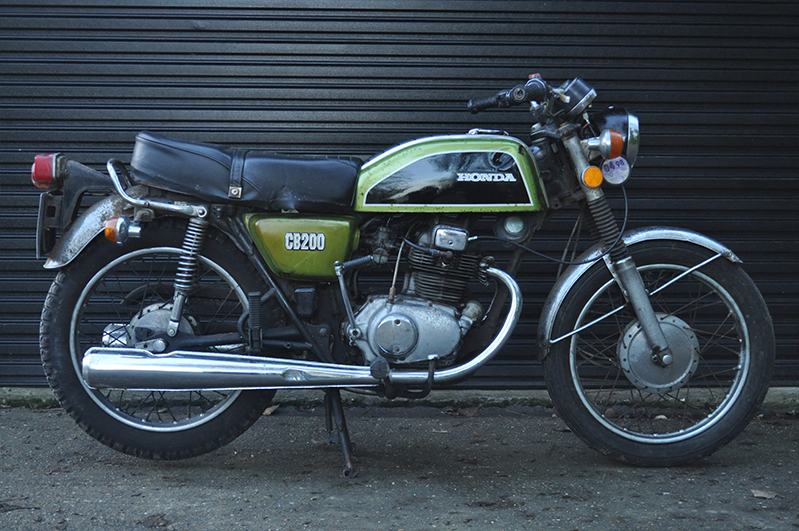 This is our 1974 Honda CB200 Twin. With only 2 years of production (1972-74) this model adds to the countless number if CB models from Honda. The CB200 twin is Honda's high-revving roadster, offering consumers a top speed in excess of 80MPH, despite great specifications and attractive looks, back in the day - it wasn't a big seller. Our CB200 shows off Honda's "Racing Green" colour scheme and its parallel twin that pumps out a relaxing 17BHP that allows you to roam the country lanes at your leisure.